Choosing the right wine to fit a signature dish or look knowledgeable when going out to eat at a restaurant is not always the easiest thing to do. You can take a guess or go along with what everyone else is ordering. Or you can educate yourself in which wines go with particular dishes and types of food. It is simple to learn some tips and secrets when it comes to ordering and choosing the right wine. If we look specifically at white wine, several types of white wines can go with different dishes. But it seems impossible to understand and know everything about every type of white wine. 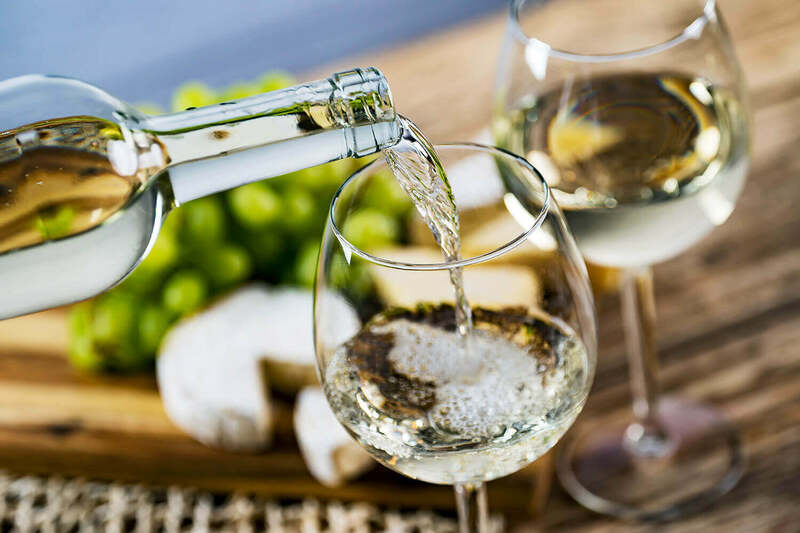 This article is not an in-depth look at white wine, but is rather a beginner’s look the basics of how these white wines taste and how they can be paired with specific foods and dishes. In the Bold and Dry category, these wines have an intense flavor and more of a creamy vanilla flavor. One of the most common types of white wine in this category is Chardonnay. This popular type of white wine can be commonly paired with eating fish or chicken and it is one of the most popular types of white wine throughout the world. Another example within the Bold and Dry Category would include Viognier, which can also be comparable to Chardonnay with perhaps a little more flavor and a softer taste. Another category entitled Light and Sweet, these wines are known to have a slight sweetness and be aromatic. One example of a light and sweet white wine is Gewurztraminer. This may not be the most popular type of white wine, but it can be great as a sipping wine as well as be paired with Asian food. In addition, Moscato is also light and sweet and can be paired well with desserts. The Bold and Sweet category of white wines can also be paired well with desserts and even chocolate! If you choose one of these wines like Ice Wine, it is known to have almost double the sweetness of Coca-Cola. Of course, this would taste great with desserts! Another bold and sweet white wine would include Madeira, which is served after dinner as well. One of the biggest groupings of the white wine categories is Light and Zesty. Within this category, the taste is fresh and light. One of the most well-known white wines to choose in this category is Pinot Grigio. Pinot Grigio can be paired with many types of dishes, including fish and lighter meals. Other light and zesty wines like Grenache Blanc can be paired well with rich and spicy dishes. The last major category of white wine is known as Herbaceous. These herbaceous white wines are lighter and have more herbal aromas to them like grass, jalapeno peppers, or bell peppers. One example of an herbaceous white wine would include Sauvignon Blanc. This particular type of white wine can be paired well with seafood, poultry, and salads. Also, another herbaceous white wine is Vermentino. This particular type of wine is somewhat like Sauvignon Blanc but also can be compared to green almond taste. Learning about different types of white wines, tastes, flavors, and what foods to pair it with, may take more practice as well as experience. But this guide will help you begin this journey into choosing which type of white wine goes best with different tastes and foods. My name is Aly and I would like to know if you would have any interest to have your website here at watchelevate.tv promoted as a resource on our blog alychidesign.com ?